Is the husband golfing or on a fishing trip? Are you looking for something “Fun To Do” to entertain your teens while in the Gulf Shores, AL area? 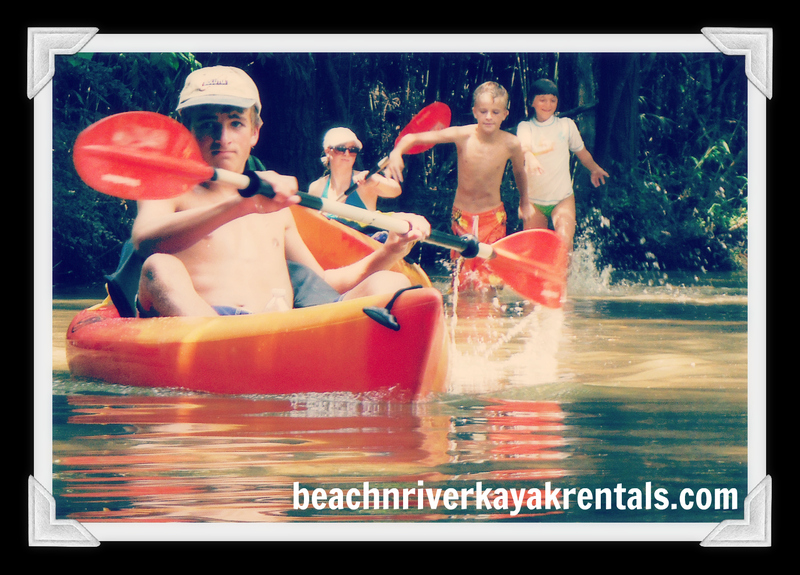 KAYAK with BeachnRiver Kayak Rentals! Here’s an option: Rent a double kayak to serve as a “pack mule” to carry a large cooler along with single kayaks — then take turns paddling the smaller, fun and easy-to-maneuver single kayaks. NEW! 2018 Reservations No Longer Needed!!! Phone message will relay the most current info. Please — no emails or social media messages. 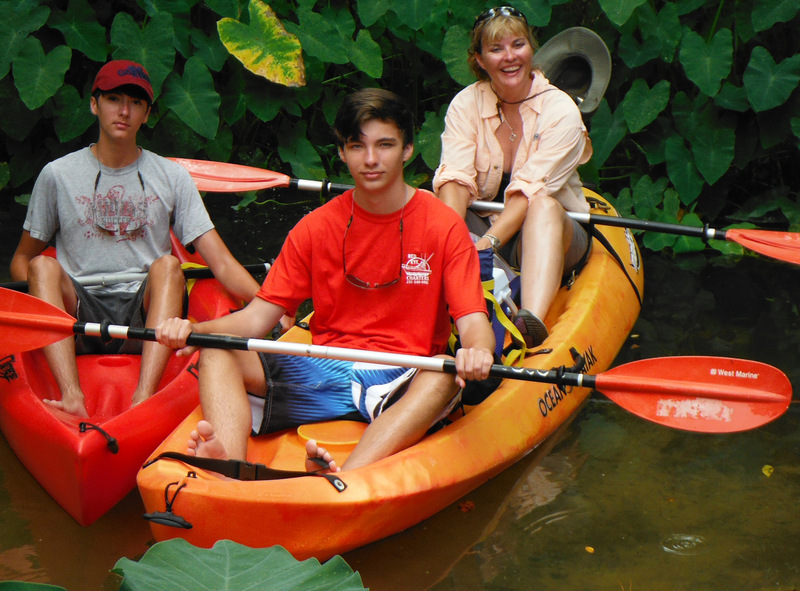 *** BeachnRiver Kayak Rentals launches kayaking guests from privately owned property. It does not have the capacity to launch guests with privately owned kayaks/boats. There is no public access or view of the river where guests will paddle from the launch location. Respect and obey all “No Parking” and “No Trespassing” signs. Violations will be reported to the police. Cars may be towed and trespassers may be arrested without verbal warning. Cameras are in use. Family Memories Are Made Like This!